The guy pictured above needs no introduction whatsoever. 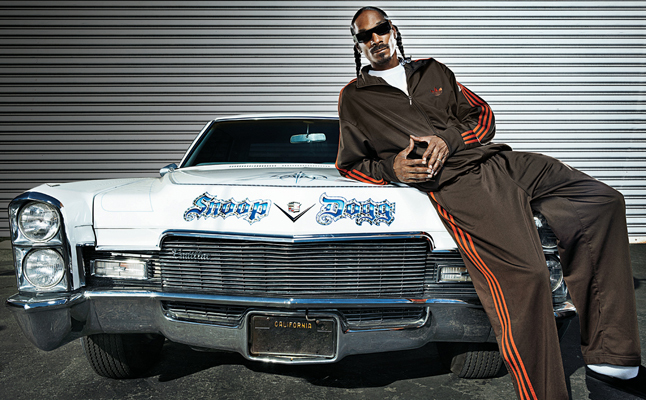 Known for his ‘pimp’ image and being one of the most respected and seasoned rappers on the planet, Snoop Dogg’s taste in cars reflects his style. 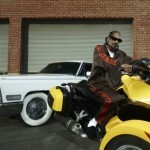 Snoop is straight old school when it comes to his rides and doesn’t dig any of the modern models currently available. His favorite two cars are the Caddy Coupe de Ville, and the rappers choice, the Chevy Impala. According to Snoop, you need at least two of each, pimped out to give it your personal signature. 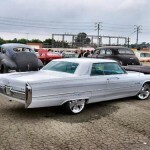 Here he is pictured with his white ’68 Coupe de Ville – one cool car with one cool owner. I’m not too sure about the graphics, but you just can’t fault a classic Caddy.